Last weekend, several members of the LVC lab presented papers at both the LSA and ADS annual meetings, which were held at the Grand American Hotel in Salt Lake City, Utah. More information available at the LSA Annual Meeting website. This entry was posted in Conference on January 13, 2018 by Charlie Farrington. This past weekend, Jason McLarty, Tyler Kendall, Charlotte Vaughn, and Charlie Farrington presented papers at NWAV 46, which was held at the University of Wisconsin in Madison, WI. This entry was posted in Conference on November 6, 2017 by Charlie Farrington. UO LVC @ Methods XVI in Tokyo! 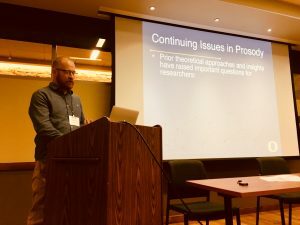 This week, Tyler Kendall is representing the UO LVC lab at Sixteenth International Conference on Methods in Dialectology (Methods XVI), which is being held at NINJAL (National Institute for Japanese Language and Linguistics), in Tokyo, Japan. This entry was posted in Conference on August 8, 2017 by Charlie Farrington. 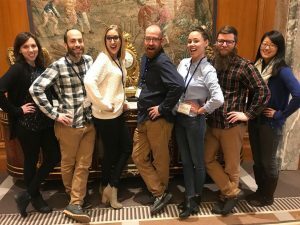 Lab Members Shelby Arnson and Charlie Farrington receive Best Student Paper Award at NWAV 45! 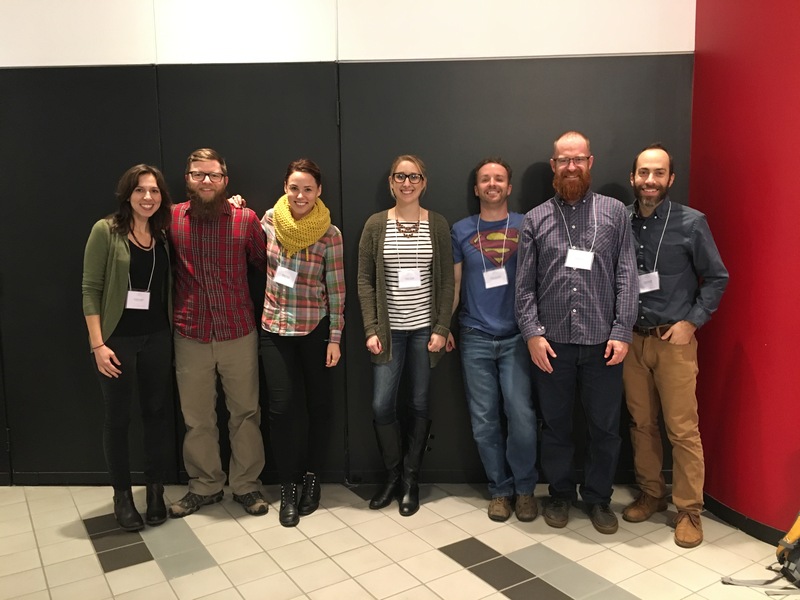 Shelby Arnson and Charlie Farrington received the Best Student Paper Award for their paper presentation at NWAV 45, held in Vancouver, British Columbia on November 3-6, 2016. The title of their paper was “Twentieth century sound change in Washington DC African American English”. This paper utilized data from the soon-to-be released public Corpus of Regional African American Language. Their abstract can be found at the NWAV 45 website. The conference was hosted jointly by the University of Victoria, Simon Fraser University and the University of British Columbia. Members of the Language Variation and Computation Lab at the University of Oregon are extremely proud of both Shelby and Charlie for this accomplishment. This entry was posted in Conference on November 7, 2016 by jmclarty@uoregon.edu. 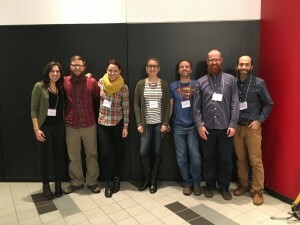 This past weekend several members of the LVC lab presented at NWAV 45, which was held at Simon Fraser University in Vancouver, British Columbia. Charlotte Vaughn and Tyler Kendall: What do listeners know about the sociolinguistic variable (ING)? This entry was posted in Conference on November 7, 2016 by Charlie Farrington. The LVC Lab is heading to Seattle for the 2nd Cascadia Workshop in Sociolinguistics (CWSL) hosted by the University of Washington (CWSL website here) next month. We’re excited to showcase some of the projects we’ve been doing and to see what other sociolinguists in the Pacific Northwest are up to. This entry was posted in Conference on March 12, 2016 by TK.